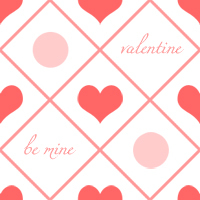 Since my posts lately have been more informative than cute and fun, I decided to whip up some fun repeating patterns to use as Valentine backgrounds for your own blogs. 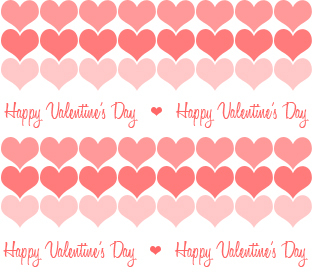 Here's one with rows of hearts that I currently have on my family blog. This one has a beating heart that will still beat after you add it as your background. If you don't like the beating heart, you can choose this one that is similar but without the action. Here are some examples of how they will look on your blog. Well, I can honestly say that I have never used any other backgrounds except my own or custom ones that I have set up. I know a lot of you get yours from other places and I don't know the method you go about doing this, but I will tell you an easy way to use mine. Don't be intimidated by my thorough post--it really is quite simple to change. I always just like to make sure to cover everything. I wrote a previous post on how to use your own images as backgrounds that you can find HERE if want to see how to do your own. To use mine today, you will be basically using step 3 from that post. But here I have listed the instructions with the exact codes to use for each valentine background. Go to your Template Designer. This is found under your Design tab. 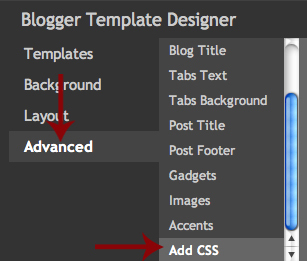 If you don't see the Template Designer, you need to update your blog. See the post HERE on how to update it to the latest features. When you click on Add CSS, there will be an empty white box to the right of it that you can enter text in. Just copy the code of the background you want and enter it into the Add CSS box provided. You will see a preview of it to approve before you save changes. If your pattern shows up even behind all your posts and sidebar, you can fix that by changing the color behind your posts and sidebar area. Just go to Advanced under your Template Designer, then Backgrounds. The Main Background can be changed to a plain color so the pattern does not make your posts and sidebar items hard to read. I absolutely LOVE changing my backgrounds with the holidays/seasons/months. It's an obsession.